Clear knitting instructions for beginners are so important. I know because I learn to knit on my own. A beginner must first understand some knitting terms that are going to appear in any knitting pattern or instructions. I have included some video tutorials as well as written instructions with illustrations. I suggest viewing the videos for an overall idea of how knitting is like and then use the written instructions to practise at your own pace. This is the process of making the first row of stitches on your needle. Cast on is usually written as CO in patterns. There are a couple of ways to cast on. Visit my post for 18 ways to cast on. After the cast on row, there are basically 2 stitches to use to continue the subsequent rows. Written instructions: Step by step instructions with diagrams for the Knit stitch. 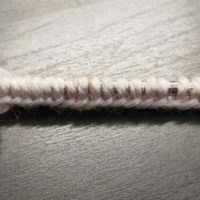 Written instructions: Step by step instructions with diagrams for the Purl stitch or Step by step instructions with colour illustrations for the Purl Stitch. This is the last row in your knitting. It can be called casting off or binding off although in most patterns it is written as BO. Binding off should be done loosely and you will see the reason why once you start binding off yourself. You need the little bit of extra space to move the loops. Visit my post for 9 ways to cast off. The 4 knitting terms above should get you through some simple beginner projects like my garter stitch dishcloth. A practical project too. 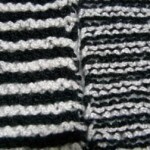 Garter stitch is produced when every row is made up of knit stitches. 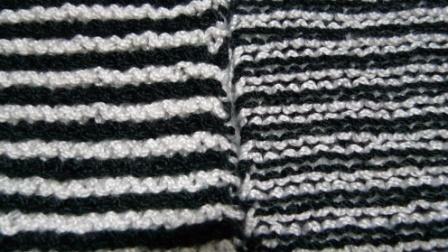 This is knitted in 2 colours to show off the ridges created by knitting every row. You will also notice that the knitting is very flat and stable. You can practise all four techniques above with this pattern until you are quite comfortable with them or when you get bored. 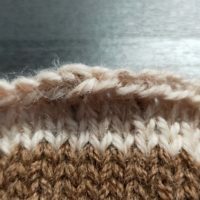 Then, you should move on to other more projects with more challenging techniques such as increasing and decreasing, cables, lace, and more. Lyrics for 无言花 – A Contemporary Hokkien Song?